THE SPORTSTER PRE-SPRING RUSH IS NOW ON! 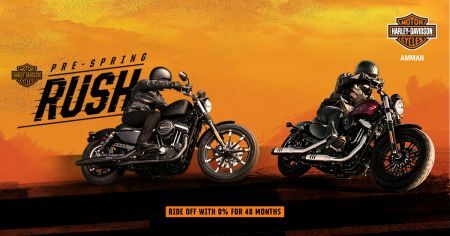 Ride off on your Harley-Davidson® Iron 883 or Harley-Davidson® Forty-Eight model with 0% for 48 months*. Visit our dealership or contact us today to find out more information on this exclusive limited time offer.